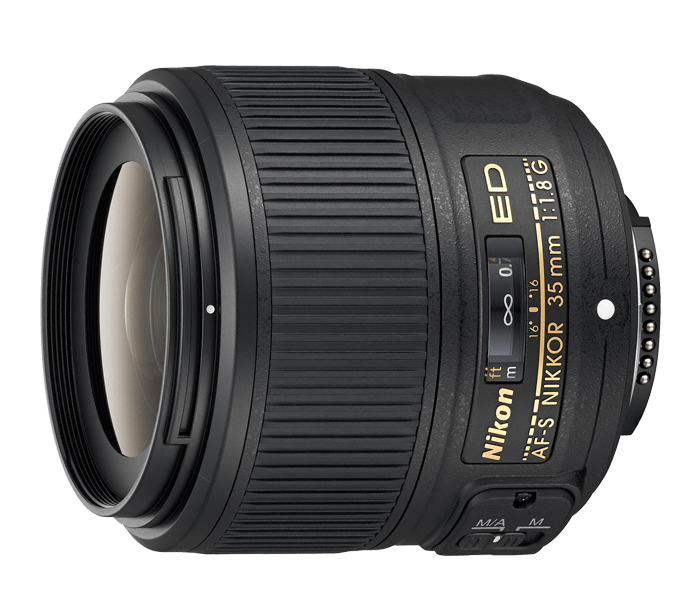 A great lens draws peak performance from a camera, and the AF-S NIKKOR 35mm f/1.8G ED is no exception. Impressive on Nikon's FX- and DX-format D-SLRs, it delivers consistent, superlative performance, even in tough shooting situations. Aspherical (AS) and Extra-low Dispersion (ED) glass elements combat sagittal flare at wide aperture settings. Super Integrated coatings (SIC) enhance contrast and colour and nearly eliminate ghosting, even in backlit scenes. And Nikon's innovative Silent Wave Motor (SWM) uses ultrasonic waves for fast, accurate, quiet autofocusing.